Nelly is a Partner at Oraro & Company Advocates in the commercial practice area and specialises in banking & finance, conveyancing & real estate. She has advised local and international clients for well over 11 years in securitisations, debt finance, project finance, real estate joint ventures, as well as the transfer of land. Nelly has recently advised a leading Kenyan investments and real estate company in a real estate development joint venture with the landowners for the development of an integrated master planned multiple-use city located on approximately 1,000 acres of land in the Nairobi metropolis. 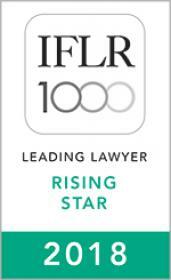 International directory IFLR 1000 ranked Nelly as a rising star in Banking, Real Estate in 2017 and 2018 respectively. Nelly has a Bachelor of Laws (LLB) from the University of Nairobi and a Diploma in Law from the Kenya School of Law. She recently was seconded to the global law firm – Stephenson Harwood in their London offices in the United Kingdom. Acting for a leading real estate developer in the purchase of a 5-acre property in Ruaka, where the firm is putting up a comprehensive mixed-use development consisting of 408 units. We are also acting on the on the sale of around 100 of the 3 bedroom units in the project. Advised and assisted the purchaser in preparing a competitive offer for the purchase of 10.8 acres of land, conducted an extensive due diligence on the property and the vendors, negotiating the sale and purchase contract and undertook the transfer formalities at the relevant land registry. We also advised the restructuring of the purchaser’s company to bring on board the development and financing partners. Advising a leading Kenyan investments and real estate company in a real estate development joint venture with the landowners for the development of an integrated master planned multiple-use city located on approximately 1,000 acres of land in the Nairobi metropolis. Advising Kenya Deposit Insurance Corporation, in relation to recovery of debts owed to several collapsed financial institutions through liquidation of a prime property in Upper Hill valued at USD 9.5 million by way of private treaty. Advising the lender in a banking facility of USD 25 million to Mabati Rolling Mills Limited. Advised a client on the legal structure of its equipment leasing framework and reviewing its operating lease and installment sale and full maintenance agreement.